We manufacture a large variety of Plasticware for restaurant supplies and commercial use. We ship restaurant supplies and supply items to restaurants, caterers, bars, hotels, party rental companies and florists all at commercial wholesale prices. 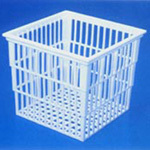 We are an international wholesale supplier of Plasticware products. When you need to buy Laboratory Plasticware, shop from more than thousands of items from us. these are commonly used in school and colleges labs and reserch institutions for educational purpose also. Desc : CONICAL FLASKS 100,200,500 ML.